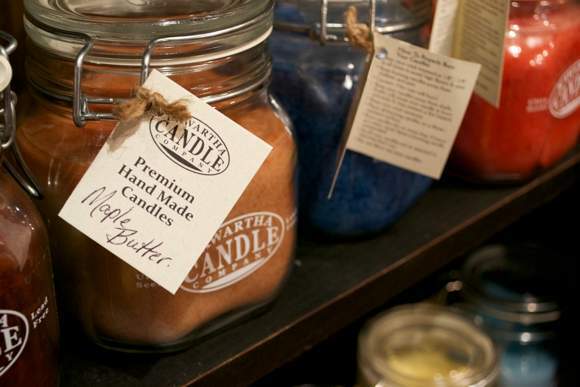 If you've ever been walking along Charlotte Street when all of a sudden you were drawn to the scents of vanilla, cinnamon and berries floating through the air, that's no doubt the wonderful smells of the Kawartha Candle Company located at 196 Charlotte St. Shirley Leahy will be celebrating one year of ownership in the new year—and the business was orginally established back in 1999 by its previous owners. She welcomes you to come and enjoy all the shop has to offer including purses, wallets, scarves, home accents and of course candles! Jar candles like the ones below range from $9.99 to $21.99.